Insulating a shed is important to protect stored equipment from moisture, cold or heat. 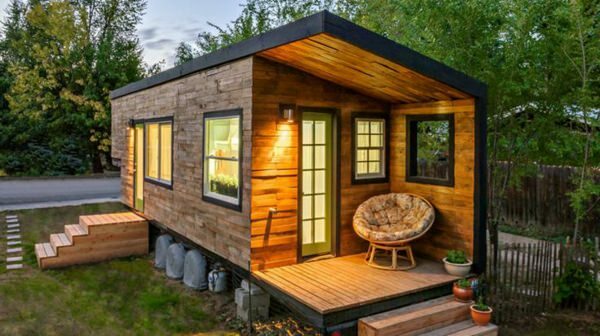 In the same way, if your wooden shelter serves as a craft shop or a leisure room, you will enjoy working or enjoying a good time in a healthy environment. You will prevent the cold or the heat of inviting yourself to your habitable cottage. There are many materials at your disposal, a selection is required according to the type of your cottage to insulate a shed. The floor, the roof, and the walls will have to be insulated in order to benefit from a habitable space in all seasons with maximum comfort. Here is how to insulate a wooden garden shed. In the same way, as for insulation of the roof, you can insulate the floor from your wooden garden shed during and after construction. When building the shelter, insulate the floor of the shelter by raising it by means of beams or breeze blocks placed on the concrete. 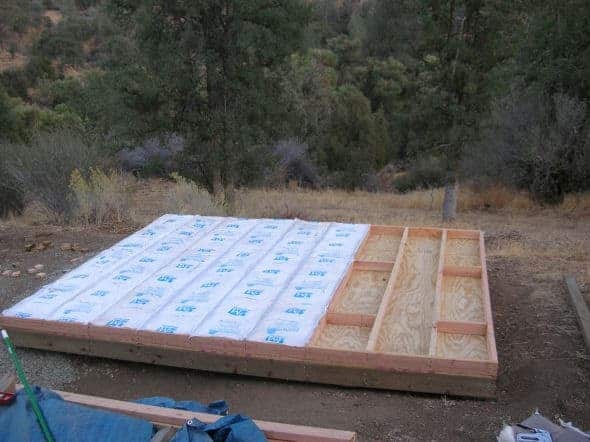 Insulate the slab of the concrete slab when it is larger than your shelter (strongly advised). If your shelter is placed directly on the concrete slab, insulate the floor with polystyrene plates. Expanded polystyrene (PSE) insulation or Extruded polystyrene insulation (XPS). Attach regularly spaced joists to the concrete slab. Cut polystyrene plates and place them between the joists. Then lay the floor of your wooden shelter, screwing it into the joists. 25% of the heat loss occurs through the walls of an uninsulated house. To insulate the walls of your wooden shelter, choose a Rockwool insulation. Tip: Prefer the insulation in roll or panel. Measure the spaces between the wall posts. Cut the insulation pieces and place them between the wall studs. 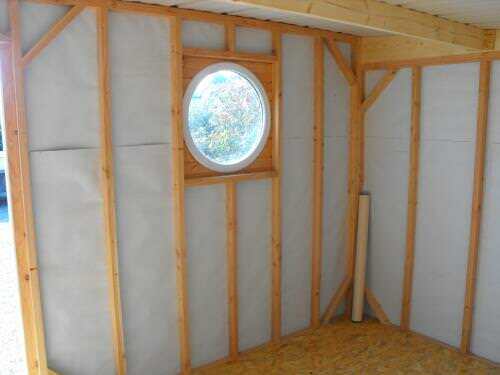 Once you have laid the insulation on the walls, install the wall cladding. The easiest method to insulate the roof from your wooden garden shed is to do it during construction. 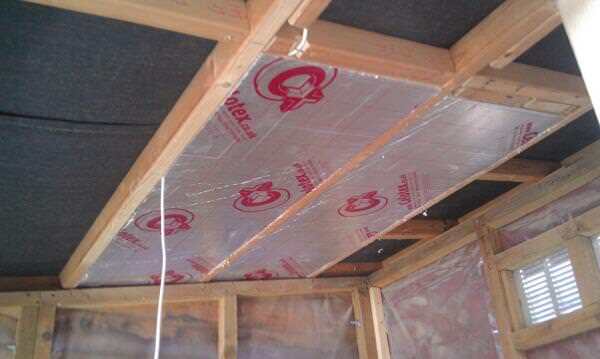 However, if your shelter is already built and you want to insulate it for comfort, it is possible. Insert the rock wool between the rafters. If you chose a thin insulation, unroll it on the roof and then staple it. Then install a sub-roof screen. Cover the roof with OSB boards that will accommodate a roof covering. Insert the rock wool between the rafters, starting at the bottom of the roof. Always leave a 2 cm air gap between the insulation and the roofing or underlayment if any. Then apply a steam brake by stapling it on the rafters. In the case of thin insulation, unroll and staple the insulation on rafters or battens. Replace the broken windows. It will not do any good to insulate the walls if the air can pass through a broken pane. If necessary, install double glazing. If you want to use your garden shed as a guest room or as an office, it is essential to install double-glazed windows because the single-pane windows let out too much heat in the winter and can also let in too much during summer. Plug the holes. If there are slots or holes in the roof, in the walls or between the walls and the floor, it is important to plug them. You can fill the small slits with tube silicone or putty. For larger holes, use expansive foam. Inspect your garden shed when it rains. When it rains, inspect your garden shed for water infiltration. Install a weatherproof, slate, metal or fiberglass roof covering. If it does not rain, you can still try to detect water infiltration by spraying the roof with a garden hose before inspecting the inside of the shelter for traces of moisture. If necessary, apply an external covering. If you have a lot of slots to plug, laying an exterior cladding can be a good solution. 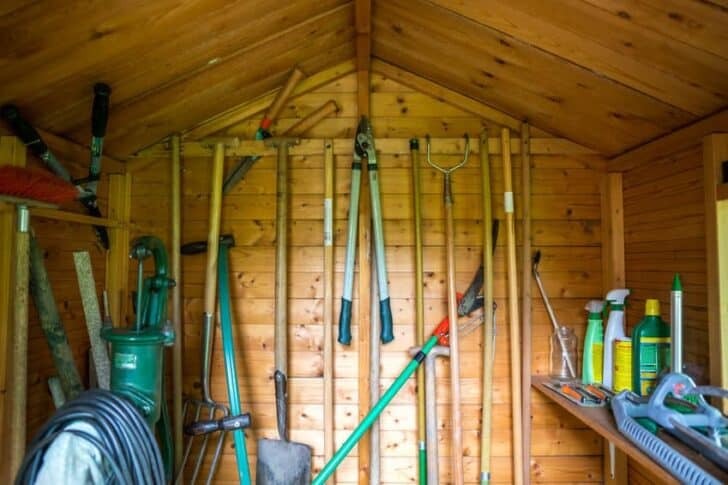 To protect a garden shed from too low or too high temperatures, you must plug all the holes and insulate the walls and the roof properly. Inspect the walls: if you detect dark traces, this may indicate water infiltration. Install a weatherproof door. Most garden sheds are sold with doors that are not weather resistant. If the door frame of your garden shed is not standard, you may need to invest in a custom door.